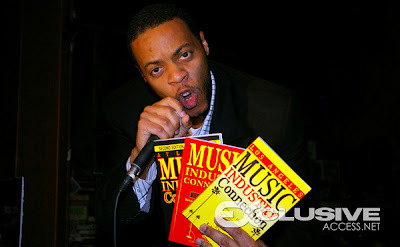 BlackRadioIsBack.com Read A Book Recommendation: Music Industry Pimping E-Book | BlackRadioIsBack.com - Official Blog of the Syndicated FuseBox Radio Broadcast! Hope that the beginning of the week is starting off well for everyone so far! I just wanted to recommend this free E-Book to those interested in how to navigate the inevitable ups and downs of the music industry called Music Industry Pimping. Besides the folks over here at BlackRadioIsBack.com and the syndicated FuseBox Radio Broadcast having already gone through both downloading (virus and spam-free), reading and critiquing the book based off of our own experiences, we were also able to meet with and hear from the author of this book and others dope music industry book resources, Jawar, this past weekend over at the Hood Hard Day conference events in Charlotte, NC. We're happy to say that folks are very real, honest and down to earth folks - the type we need to really get things set up on a proper path in this business called the music industry and Black Radio. There's some good information up in here - check it out and see what's good. * What Pimping Really Means? * How to find out if you’re being Pimped? * How Katt Williams and Snoop Dogg define Pimping? * What’s an Open Mic Night & Music Showcase Pimp? * How to know if your Publicist is Pimping You? * What’s a Radio Promotion Pimp? * How to detect a Music Conference Pimp? * Is Your Club Promoter Pimping You? * Are A&R’s Chart Pimps? * You'll learn the Truth about Music Conferences. * You'll find out How to Get Paid as a Music Conference Speaker. * You’ll hear from a Music Business Specialist and Music Consultant. Thank you for the plug. It was fantastic meeting you at the HHD Music Conference in NC. May you continue to reap the fruits of your labor.